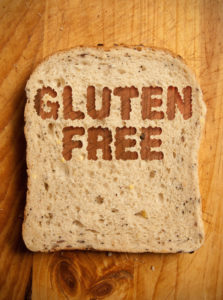 If you have gluten sensitivity symptoms, you and your doctor may want to consider a battery of tests and screenings. But the right mental attitude is also important as you embark on this journey. Just remember: Help is on the way. Doctors start screening for celiac disease with a panel of blood tests. When it comes to a suspected case of Celiac disease or food allergy symptoms, everyone’s reaction is usually the same: “Okay, what am I in for? How much time will this take? Is there a gluten-free food list? And what will it cost?” Notions of how to care for loved ones, professional duties, and a bit of panic start to crowd your mental processing. But that anxiety can begin to subside if you arm yourself with information. Start that process with better knowledge about tests and screening. To diagnose Celiac disease, doctors screen the blood for high levels of auto-antibodies—proteins that react against the body’s own cells or tissues. The first step in diagnosing Celiac disease is usually a blood test to measure levels of certain auto-antibodies produced by the immune system in response to ingested gluten. As a result, it’s important to be eating a regular, gluten-containing diet when tested for Celiac disease; if you’ve been on the gluten-free diet longer than a couple of months, results may be negative even if Celiac disease is present. Doctors screen with a panel of blood tests, since each test alone can vary in terms of specificity and sensitivity. A positive blood test indicates that a person needs a biopsy of the small intestine; it is not a Celiac diagnosis. Once diagnosed, these same blood tests can be used to help monitor improvement on the gluten-free diet. Intestinal biopsy: The intestinal biopsy is still the gold standard for diagnosing Celiac disease. If blood tests and symptoms suggest Celiac disease, a biopsy of the small intestine is performed to confirm the diagnosis. During an upper endoscopy, a gastroenterologist eases a long, thin tube called an endoscope through the mouth and into the beginning of the small intestine. As the tube is making its way to the small intestine, a camera on the end sends a video image to a monitor so that the physician can visually assess any inflammation. Tissue samples from the small intestine are biopsied to check for damage to the villi, the fingerlike projections in the small intestine that absorb nutrients. The biopsy requires the patient be on a regular (gluten-containing) diet in order to be accurate. If taken alone, it may still miss the portion of the small intestine with flattened villi. In fact, because celiac disease doesn’t cause uniform intestinal damage, experts recommend that four to six different samples be taken from the second or third part of the duodenum. A biopsy may need to be repeated over time, since normal results don’t exclude the possibility the disease will develop later in life. Skin biopsy: A skin biopsy is the gold standard for diagnosing dermatitis herpetiformis (DH), an uncomfortable skin condition associated with Celiac disease. It’s characterized by an itchy, blistering rash, often on the elbows and knees. The skin biopsy must be performed on uninvolved skin adjacent to the affected area since the inflammatory reaction interferes with immunological testing. Nutrient testing: Patients, especially adults, should be tested for nutritional deficiencies, because of the malabsorption associated with Celiac disease. Vitamins and minerals are acquired through the diet and affect every system in the body in a complex interaction. Thus, nutrient testing is important to determine the condition of the body. When the digestive tract is damaged, as in Celiac disease, the body is unable to properly absorb the foods consumed. Even with a healthy diet, the body is unable to fully extract the nutrients it requires. Genetic testing: When blood tests are unclear or when a patient is already on the gluten-free diet, a genetic test may help clarify the diagnosis—it rules out the likelihood of Celiac disease when negative. Using a small sample of blood, cheek cells or saliva, the genetic test looks for two markers associated with Celiac disease, HLA-DQ2 and HLA-DQ8. Human leukocyte antigens (HLA) are proteins, of which DQ is a subset, that are found on the surface of almost every cell in the body and are a key component of the immune system. While everyone has slightly different HLA proteins, each of us has two sets, one inherited from each parent. Ninety-nine percent of Celiacs have one of these two genetic markers. Thus, a negative genetic test essentially rules out Celiac disease. A positive test result, on the other hand, does not indicate the patient has or will develop celiac disease. In fact, up to 40 percent of the population has one of these markers and very few of these people will ever get Celiac disease. Although the symptoms of Celiac disease vary from person to person, some basic tests should be part of every patient’s annual health checklist. Celiac specialists recommend both antibody and nutrient testing after diagnosis and certain tests yearly thereafter. People with Celiac disease are usually monitored annually. Those who were very sick prior to diagnosis should be seen more frequently. Children generally respond more quickly than adults to the gluten-free diet but they also need time to heal. While antibody levels typically return to normal in 12 months, it occasionally takes longer. In part, the speed of normalization of the antibodies depends on how high they were to begin with; higher levels require longer (often more than one year) to normalize. Thus, repeat testing in one to three months may only serve to raise parents’ anxiety. After you have been officially diagnosed with Celiac disease, make sure to consult with a doctor and nutritionist who specialize in Celiac disease. If you’re not currently receiving specialized Celiac care, consider seeking out the closest Celiac research and treatment center. It’s a good idea to see a specialist for regular check-ups and follow-up blood tests to be certain you’re not inadvertently ingesting gluten. Celiacs are typically more susceptible to other medical conditions, ranging from lactose intolerance (usually transient) to other autoimmune disorders, and an alert doctor can work closely with you to lower the risks. As an important aside, a specialist can counsel your relatives about whether they should undergo blood tests or genetic screening for this inherited autoimmune disorder. Your family members—particularly first-degree relatives—are at risk for contracting the disease. Undetected and untreated, Celiac disease can wreak havoc on the immune system and set loved ones up for serious medical problems in the future. Is there a “spectrum” of gluten-related disorders? allergy, allergy symptoms, anxiety, celiac, celiac disease, celiac disease diagnosis, celiac disease diet, children, diet, digestive, digestive tract, food, food allergy, food allergy symptoms, genetic testing, gluten, gluten free, gluten free diet, gluten free food, gluten free food list, health, healthy diet, immune system, inflammation, lactose intolerance, medical conditions, medical problems, nutrients, nutritional deficiencies, skin, skin biopsy, symptoms of celiac disease, the gluten free diet, vitamins, vitamins and minerals. I thought you might be interested in this article on https://universityhealthnews.com: Celiac Disease: How Do You Know If You Have It?